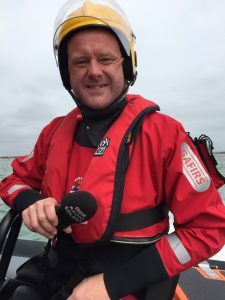 Gosport & Fareham Inshore Rescue Service featured on BBC Radio Solent in a special four minute piece. BBC Reporter Neil Sackley, right, visited the station ahead of the Joan Dora Fuller’s official launch to record a news piece. The feature was broadcast on Saturday, June 18, the morning of the new Gosport Lifeboat’s official launch. 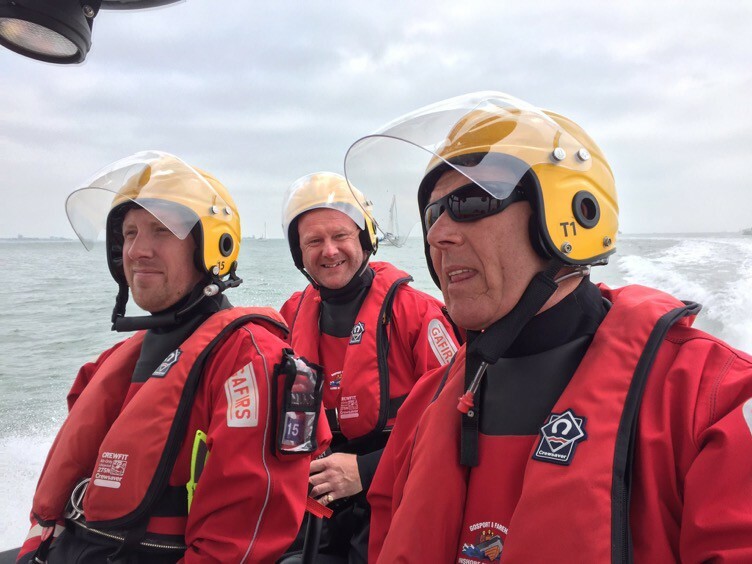 In the feature, GAFIRS vice chairman (operational) Mike Allen, coxswain Peter Brown and crewman James Baggott speak about the history of the service and the work it does to keep The Solent and surrounding waters safe. The feature has been uploaded to the BBC iPlayer and can be heard by following this link: GAFIRS on BBC Radio Solent.